OK, boys, I decided to splurge. Next year I turn 50, and after twenty-three years of saving, investing and planning I have sustained a high net worth. I realize that I can't take it with me when I die, so I decided to host three of my best friends for a week-long trip to Scotland during the US Open week of 2019, where it will be played at Pebble Beach. While the world's best golfers will duke it out at the Links, my buddies and I will duke it out in Scotland for a week of fun. I invited each of them in private and they were all excited of the opportunity. The terms are simple: I pay for plane tickets, accommodations, greens fees and caddie fees; they just pay for food and drink for everyone in the group, including myself, so I eat for free. They all said yes, but at the beginning of next year when I book the plane tickets I will formally ask each one for final confirmation, given that lives change over time. Here is where I need your help. I only have a vague idea of what to do. I have never been to Scotland before, so I am a newbie of visiting the home of golf. I heard that you can book the Old Course a year in advance, and most people do. That is why I am starting this thread so far in advance. I rely on your wisdom and knowledge of what to do, and any ideas in this thread will be greatly appreciated and considered. The first issue is deciding on which courses to play. The plan is to play only one course per day; I don't believe in jamming in as many courses as possible, playing 36 holes each day. This will be about a week-long trip, so the plan for now is to play at least seven courses, maybe eight or nine if I am convinced. Certainly The Old Course at St. Andrews I want to play. The other courses I want to play, given what I've read here so far, will be Kingsbarns, Dornoch, Kingsbarns, Prestwick, Turnberry, Cruden Bay, and maybe take a short flight and play Royal County Down. If you only had a week or so to play in Scotland, and only one course per day, which seven or eight courses would you play? The major considerations of this magnificent trip are logistics and accommodations. I understand that there are businesses that can arrange all that for a fee, but I wonder if those guys tend to gouge. Is is worthwhile to engage these businesses? I think it will be a good idea to select a central location so we will not travel far to each course. Maybe Edinburgh? The final and most important consideration is budget. The figure I am willing to spend on this trip is $40,000, which I reckon should be more than enough--will it be? Remember that my hosts will cover food and drink, and I pay for everything else. I have never been to a B&B before, so I would prefer a good hotel for us all. The plan for now is to play golf in the late morning or early afternoon, have a few drinks, and watch the US Open at Pebble Beach either at the local pub or back in our room. I am looking for a three-bedroom suite for us to stay in. So let's start this thread with some good ideas and recommendations. Thank you in advance for your recommendations and ideas. https://play.standrews.com/ That's where you'll apply for 2019 tee times. The application goes in around October 1. Right now, there's nothing about 2019 times, just keep checking back. You'll have to commit to play one other course at St Andrews in addition to the Old, I like both the New and Jubilee. Once you hear back from St Andrews in mid-October, you can make any other arrangements you want while working around that commitment. You can stay in St Andrews for a whole week and not get bored. Carnoustie isn't far away. Kingsbarns is close. Lesser-known links courses include Crail (36 holes), Elie, Lundin, Leven, Scotscraig, Monifieth, Panmure. I've done this, and had a blast. Just because you haven't heard of a course doesn't mean its not worth playing. In a week, you simply can NOT hit all of the courses you've listed. At most, pick one additional base of operations, either Ayrshire (Turnbury, Troon, Prestwick, Dundonald, Western Gailes, lots more), East Lothian (Muirfield, North Berwick, Dunbar, Gullane, Archerfield, and more) or Aberdeen (Royal Aberdeen, Cruden Bay, etc). Don't even think about flying to Ireland unless you want to spend more time. When you start looking at travel times, don't just look at mileage. Use the route planner at www.theaa.com for more realistic time estimates. For lodging, there certainly are a number of hotels. B&Bs are actually pretty nice, but I understand you'd prefer something "more". You might consider a self-catering option, essentially rent a house or townhouse. I liked the B&B, a good Scottish breakfast is a good start to the day. And really, how much time will you spend in your room? If you prefer, insist on having individual rooms, it'll still be cheaper than any hotel, and you'll probably be dealing with real Scots, not salaried hotel workers from Poland. When you think about watching golf from the US Open, remember that it will be 8 hours time difference. If the first tee time is 7 AM local time, that's 3 PM in Scotland. It sounds like a great trip, I'm sure you'll have a great time. The two hardest parts are 1) waiting to hear from St Andrews and 2) waiting to actually go. Fantastic. So EmperorPenguin and Pepper Turbo are the same guy right? Has that cat been out of the bag for a while and I missed it? I sure hope these three who have been bestowed this honour accurately and diligently post all of their scores over the next 18 months, dress accordingly, and play quickly but not too quick. I recommend you have a central base, either Edinburgh or St Andrews. Ours is small country but you can still end up doing a lot of driving if you stretch yourselves too thinly. You certainly would struggle to do the the Fife, East Lothian, Ayrshire and Highland courses in one trip. Choose an area and focus on the courses in that area. Lastly, let me know if you do decide to base yourself in Edinburgh, I’d be more than happy to host you at North Berwick. R&A know you are coming? Yes, you will be more than ok. Indeed, for that you will all be living like kings! The imperial budget is high, but I am playing golf with three of my best friends, and I figured that because none of us have ever played in Scotland, let alone anywhere in UK, I want to make sure that we do it right. We will take the cheap seats on the airplane because I have flown business class and what they offer for five times the price is very little and not worth the extra money. I will select the economy seats with extra legroom and pay extra, because to me that is the best value. In a week, you simply can NOT hit all of the courses you've listed. The idea is to play only one course per day, so I cannot see how it is impossible. Help me understand why. Main issue on your short list is Dornoch which is really secluded compared to all other courses. it's probably about 3.5-4 hours drive from Cruden Bay, at least 4 hours from St Andrews and even more from Ayrshire (Prestwick, Turnberry). Check the driving distances between locations. Dornoch and Cruden Bay are basically a half-day drive from anywhere else, and from each other. I suppose its technically possible, assuming you hire a driver. You'll spend a lot of time in the car, going from place to place. You say you want to do it "right". To me, that means not just playing golf, but experiencing a bit of the Scottish culture. You can't do that if your only activities are sleeping, playing, and driving from one spot to another. If you were to make two bases, Ayr and Fife, you could hit Turnbury, Prestwick, and Western Gailes, and then St Andrews for the Old Course, the New, Kingsbarns, and Carnoustie, and have done a brilliant week, without spending most of it looking through a windshield. OK, I will certainly take that to consideration, given you've done it yourself. Yes, I saw it on the map. Dornoch looks way, way north. It implies taking a special trip and a whole day to get there and back, but logistically possible if, say, we depart very early in the morning? If you were to make two bases, Ayr and Fife, you could hit Turnbury, Prestwick, and Western Gailes, and then St Andrews for the Old Course, the New, Kingsbarns, and Carnoustie, and have done a brilliant week, without spending most of it looking through a windshield. Ah, I get it. East coast then west coast. 2) Early round in Dornoch then drive to you next destination. I would reply : Yes it's possible ! But it's way too much time spent on the road for one round only ! An alternative plan would be to give up Ayrshire and add rounds in Castle Stuart or Nairn for example. Davep043 is right, it would be much better to stay focused on two regions max. Exactly, two bases, at most, and then nothing more than an hours drive from each base while you're there. The three obvious ones are Fife, Ayr, and East Lothian, no more than about two hours drive between them. www.golfnook.com has some good descriptions of the various "clusters". I'll be visiting Ayr and East Lothian this coming June. Or as I mentioned, a whole week in St Andrews wouldn't be bad. You can get to three world-famous courses (Old, Carnoustie, and Kingsbarns), three or four more excellent links courses, and never have to pack and unpack your clothes. This may just be me, but I enjoy getting to know my "neighborhood", to visit the same pub often enough to be recognized when I walk in. I should be clear, Royal Dornoch is my favorite course in the world. You might enjoy going there and playing two days in a row. You could leave early one morning and play an afternoon round, or do as AuldPLO suggests and drive north after golf. You could stay several days and play at Brora, Tain, Nairn, Castle Stuart, visit the Glenmorangie distillery in Tain, lots of options if you want to be based somewhere near Inverness. Another thing to consider, many courses will reserve the earliest tee times for members, so the earliest you may be able to reserve is around 10 AM. On weekends, Saturday and Sunday, the first time for visitors might be pushed back even later. On my last trip, we stayed a week in St Andrews, then four of us drove to Dornoch on a Sunday, played Tain at 2 PM Sunday, 36 at Dornogh Monday, 18 on Tuesday and drove back to Edinburgh for our flight home on Wednesday morning. in 2015 i made my first trip to Scotland. Flew to Glasgow and played Western Gailes, Prestwick, Royal Troon and Dundonald. The moved across the country to the St. Andrews area. We played Carnoustie, Muirfield, Kingsbarnes and went to the Open Championship for a day and a half. We used a group called Travelling the Fairways to secure the tee times and had an 8 passenger bus with a driver that they set up, It was worth every dollar having someone there to drive us to golf and dinner. This year we are going back and staying in the st. Andrews area for the whole trip. This time we are using Perry Golf for all arrangements and will be travelling with a group of 16. We are going to play St. Andrews Old and New, North Berwick, Archerfield, Glen Eagles, Muirfield and Kingsbarnes. We will attend the Scottish Open one afternoon after golf. Also plan on playing a couple of more rounds at lesser known courses. Again we will have a bus and a driver. My opinion on the travel operators is that you dont have to do anything.... you show up and they take care of all of the of the details..They know of the fin places to eat and drink. They are expensive, but worth every penny. Well Dornoch I would really want to play. How about the idea of taking a plane from Edinburgh to nearby Inverness airport? and its definitely not worth it if you have to connect through Belfast or London. So this is my first post been a lurker for a while here. With your budget I would definitely use a tour operator, it will cost about 20% more but you won't lift a finger. We used the experience St. Andrews as mentioned above and they were phenomenal. We went this past May, did everything first class for 9 days and it was like $7,000 per person staying in single rooms(old course hotel, greywalls, ect). By not lifting a finger I mean nothing, we would come off the course and our driver would have a table in the clubhouse for us or get us two a bar if the clubhouse didn't have food. The two bases makes sense, we actually did three. I would put Muirfield on your must play, the golf course is the best I've ever played. It replaced Shinnecock for a reference point in my book. Put the experience of lunch with the members and it is a day you will never forget. If Dornoch is a must, and we chose not to play it on this trip, what about a helicopter. Perry golf used to have choppers, not sure if they still do but that would be a heck of an experience. If it is doable, the guys with the tour groups will be able to pull it off. Finally, you can't go wrong, we had two votes for Turnberry - Alisa, one for Troon and one for Muirfield as favorite courses. 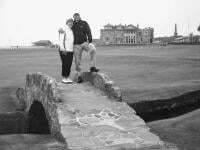 I loved Prestwick, others loved Kingsbarns. We all agreed Carnoustie was the hardest course every one of us had ever played. Old Course is a religious experience. We got lucky, not a drop of rain in 9 days, when we played Turnberry it was 67 not a cloud in the sky and no wind, just stunningly beautiful. If you want more detail, PM me. I did not put Carnoustie ("Carnasty") on my list of selected courses because, quite simply, I don't want to play a course that will be too difficult. We are all decent golfers (handicaps range from 4-15), but I want us to play courses that are beautiful and relatively easy to play. Think about it this way. Golfers come from all over the globe come to play Pebble Beach Golf Links because, quite simply, it is a gorgeous course. It is often said that Pebble without the ocean and scenery is nothing special. When I go to Scotland, I want us to play pretty courses just like people want to come to play Pebble. That is why Royal County Down is on my list. On Muirfield (a.k.a. The Honourable Company of Edinburgh Golfers), which I understand is located in the town ("toon") of Gullane, I heard that it can be a snooty club. I heard something that visitors can only play on Tuesday or Thursday in the afternoon, coat and tie are required in the clubhouse, and many other protocols. It would be nice to hang out with the members, but my issue is that one of my guests may not fit in socially: he is an avid Grateful Dead fan, has dreadlocks with the likes of Bob Marley and smokes a lot of pot. 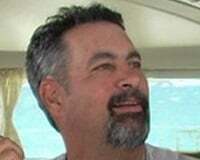 However, despite his appearance he is one of our best golfers (plays to a solid 4). Would he be a social pariah at The Honourable Company, as well as other courses I selected? First and foremost....you are going to get you a$$ kicked over there regardless of which courses you play. It is a completely different style of golf than anything you play in the US, and if the wind blows (which it always does) and the rain comes (which is almost always does) then even GoldenTee in Dunvagen's will be difficult. That being said if you are going strictly off of Scenery then you need to look at Kingsbarns (just google Pebble Beach of Scotland), Turnberrry, Narin, Trump Scotland, Cruden Bay and Dornoch. Unfortunately like others have said it would be pretty difficult pulling that list off as they are in three distinct regions. I also suggest using a tour company. I've always used Haversham, they've been awesome and helped me plan my routes out so I spent more time enjoying Scotland than sitting in a van. Regardless you are going to love it so save some of that money because you will absolutely want to go back. I can agree with your thoughts on Carnoustie. I played there on a windy rainy day (i.e. a reasonably normal day), and its really good and hard. Beyond that, its relatively level, running through some humps and hollows, but the town isn't scenic, and the big white building behind the 18th is completely charmless. the Barry Burn which meanders so nicely through the last few holes just doesn't have much impact from ground level. Its a great test, but not necessarily a fun or scenic course. Its fair to say that the Old Course itself isn't all that scenic, but I think it a lot more fun to play. You also have the town of St Andrews rising in the distance, easily visible from the entire course. A couple of courses that are pretty scenic that don't get much talk are along the south coast of Fife, Lundin Links, Elie, and Crail. These are also more "locals" courses, so may feel more inviting to your wide variety of playing partners. What about Nairn? I did not include that on my initial list, but I understand that the best greens in Scotland are at Nairn, and even a Scottish man told me that. How is the scenery at Nairn? Also, is it remote from a base location? My personal opinion was I found none of the courses stuffy. If you are expecting the red carpet rolled out for you that does not occur. It is not like going to Pebble Beach or Kiawah where there is someone constantly asking what they can do for you. You will carry your own clubs from practice facilities to the first tee where you will be introduced to your caddies. Be respectful of the fact you are a guest at someone's club and they will treat you with respect. Be a Jacka** and you'll be treated like one. Muirfield has a bunch of rules, just like any other private club in the states. You do need to have a jacket and tie for lunch, however there were guests literally with a tie around their neck with a golf shirt and a jacket that clearly was not theirs. I didn't see them be treated differently by members or staff, but again that was my perception. Can I comment whether your friend would feel uncomfortable, I have no idea. All I can say is that day was the greatest experience I have had with golf(Second experience wise is probably Fishers Island). Frankly the whole trip was the greatest experience I have had with golf. In terms of Carnoustie, I am a 12 and thought I played a fantastic round of golf, I shot 86. My buddy is a two and played on the sunshine tour for a few years, he shot 83 as was just fine with it. The other two in our group didn't break 100 one is a 8 and the other a 13. I just think it depends on the day you get. I would agree with kmdut that it takes 3-4 rounds to trust what caddies are telling you and figure out how to play golf again. It is nothing and I mean nothing like playing golf in the states. I have been to Bandon, its great, that is not true links golf. Old Mac is the closest thing to it, but it is totally different in Scotland. If you are going for beauty, Turnberry - Ailsa probably can't be touched. Forget about his politics, the changes that Trump made to 9-11 are spectacular. The Scots who by enlarge hate him passionately, will even say he took a great course and made it better. Kingsbarns was stunning at points, I think it felt like more of an American Links Course than a true links course but I am probably in the minority. Davep043 is correct The Old Course is not stunning but coming in is incredible with the town in the back ground. Jubalie is probably the most scenic of the three courses in town. The New is probably the best pure golf course of the three. One thing you may want to think about, if your goal is to watch the open at Pebble, it will be on in Prime Time on the east coast. Leaders not teeing off until 5pm Eastern on the weekend, assuming no fog delays. That means the leaders will be teeing off in Scotland at 11pm. Are you going to want to stay awake to watch the open get very little sleep and then go play a world class golf course. We like to have fun, but we were pretty much done by midnight in Scotland. We would start having a few drinks after our round, normally around 1-2pm local time. Narin is absolutely fantastic, front 9 goes along the water. Again though, unless you are going to make that area one of your hubs (Castle Stuart, Narin, Dornoch) then it is probably too far from the other courses to justify a solo run to it. Castle Stuart and Kingsbarns are the "made for tourist" courses with the wow views. Ta;k to a travel company. They will do all the driving and route you out the best way possible. I was in Scotland in May last year and will add my thoughts. Friends flew into Edinburgh to meet the wife and I. Even though I had driven in the Uk and Ireland numerous times, I guess they didn’t trust my driving and wanted to use a tour company. After getting several quotes it was cost prohibitive for us. However, the one I would have used was Morton Golf. http://www.mortongolf.com/. Nice folks, easy to deal with and very attentive to our needs, yet still quite a bit more than handling things myself. We booked AirBnB’s for most of our trip and they were all excellent. As others have suggested, we did the Southwest and St. Andrews area as our base of operation for golf. We played Prestwick the afternoon my buddy arrived, Troon the next day and Turnberry the last day. Wed-Fri, Sat was an off day while driving over to St. Andrews. Played Kingsbarns, Carnoustie and the Old Course (via the lottery). Also, the greater Edinburgh area would also be an option as mentioned. Muirfileld, Gullane #1, North Berwick. Regarding the golf. I played Muirfield as a single the day before my friend arrived. I had heard and read all the same things, “it’s too stuffy, they could care less if you play there or not, not welcoming etc etc.” My experience was totally different. Upon driving up I was immediately met and instructed where to park, covered parking in what was probably old horse stalls way back in the day. Then picked me up in a cart and driven to the clubhouse to check in. Everyone was quite friendly and I had a great caddy. I did not plan to play in the afternoon so I did not stay for the lunch, thus no need for a coat and tie. The course was fantastic. Yes, visitors can only request times on Tues or Thursday unless you stay at Greywalls Hotel adjacent to the course as they have access to more tee times. I asked my caddy at Turnberry, who had been there 30 years, about Trump and the changes to the course. He said the money invested and what they had done to improve the course and facilities have been outstanding. Although, he did hate that they now have to wear the heavy white cotton coveralls, ala Augusta. I agree with the others about Carnoustie regarding the setting. Not much there, kind of bland compared to St. Andrews but then again, we didn’t stay or try to search out a pub or anything. I found the course itself to be a tough but fair test. It is not scenic like the others but neither is Muirfield. I’m a 12 handicap and managed to go out in 40 (we won’t mention the back nine, lol) so I didn’t find myself out of my element. One other plus for Carnoustie might be the memories you’ll have. I played Royal Birkdale on this trip a few months before they would host the Open Championship. Some stands were in place already etc. It was fun watching the Open on tv, which brought back memories of having just played the course. Same might be true for you and the group. Have a great trip, I don’t think you’ll go wrong whatever you decide. Nairn is nice (not brilliant though) and the best greens I have ever played on but in the last few years it hasn't been quite as good. Should be fine by mid summer though. You could base in Inverness for a few days and play Dornoch, Nairn and my favourite course here in Scotland, Moray Old. It would probably be best to be in StAndrews when the US Open was on. The town is fantastic. It would take about 3 hrs to travel between the two so a lot in one day but worth it if you were going to stay and play for a few days. I don't know if you could play RCD then fly direct to Inverness from Ireland then stay there for a few days then finish in StAndrews. The Old Course isn't the best course you will ever play but it is a magical place and you have to play it at some point. The New and Jubilee are very good but can be very difficult in a strong wind. Avoid the Castle course, stupid greens ruin what is a nice course with good views. I enjoy Kingsbarnes a lot and would always include that for a trip like yours. You might need to take into account the golf viewing times as others have said and plan your tee times accordingly. Usually west coast US golf finishes well after midnight over here so if you stay up and have a few drinks you might end up not enjoying the golf in the morning. As others have said, you would need to try and break it down into areas and I would look at these courses myself having played them a few times each. If in Ayrshire I would play Turnberry, Western Gailes, Dundonald I enjoyed but Prestwick is fun and a bit different. As mentioned in above post, Dornoch, Moray Old and Nairn with possibly Castle Stuart if in Inverness. Old Course, Kingsbarnes, Jubilee and The New if in StAndrews. Scotscraig and Ladybank are not far away and worth a visit if looking to add another course. Gullane #1, Muirfield and North Berwick are all very good and would be my pick down there. You could travel to those from StAndrews in under 2hrs but careful about rush hour traffic times.